Unlike in the recent couple of years, the Miami Dolphins enter 2013 with something they have not had in a while, expectations. After a run in 2012 that had the Dolphins in the playoff hunt until Week 16 and their best offseason in recent memory, Miami has become a popular pick to reach the playoffs, and with good reason. The Dolphins have upgraded at a number of positions, most notably wide receiver and linebacker, and made a bold move in April's draft by trading up to take Oregon talent Dion Jordan. But for Miami to reach the playoffs, they are going to have to buck a trend from years past of underachieving. Since notching home-field advantage throughout the playoffs and reaching the AFC Championship in 1992, rarely have the Dolphins lived up to lofty expectations. Sure, there were overachieving teams like the first two teams under Dave Wannstedt in 2000 and 2001 seasons in which Miami finished 11-5. Dolphins fans also won't be forgetting the 10-win turnaround from 2007 to 2008 which, landed the 'Fins the AFC East title, anytime soon either. Even teams that didn't make the playoffs, like Nick Saban's first team that finished 9-7 in 2005 and even last year's squad, overachieved. But when the expectations have been high, the Dolphins have not exactly come through. Despite strong early-season starts all throughout the 1990s, the Dolphins won just one division title after 1992, just three playoff games and never went further than the divisional round. Expectations were through the roof following the early parts of the Wannstedt era, but even after signing Ricky Williams, who blossomed into an All-Pro back in addition to defensive stalwarts like Sammy Knight and Junior Seau, the Dolphins went seven years without making the postseason. 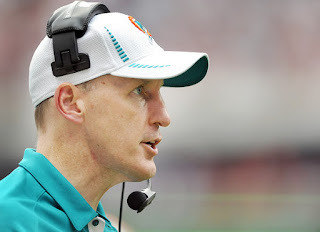 Head coach Joe Philbin is a no-nonsense type of guy that gets the most out of his players and is dealing with a far more talented team than the one that went 7-9 in 2012. Miami was also just a handful of plays away from playing in the playoffs a year ago and even topped teams who did reach the playoffs in Cincinnati and Seattle. The Dolphins have also built the offense around a quarterback taken in the draft rather than journeymen who's best football was in their past like Daunte Culpepper and Trent Green. Miami finally added a burner at receiver in Mike Wallace who can stretch the field and create the big plays in the passing game that the Dolphins lacked even while Brandon Marshall was lining up outside the hash marks. Defensively, the Dolphins have made an effort to add play-makers like Philip Wheeler and rookie Dion Jordan. Meanwhile, Miami still has one of the league's premier pass rushers in defensive end Cameron Wake, while safety Reshad Jones looks to further cement his status as Pro Bowl caliber safety. Despite all of their shortcomings in the past, general manager Jeff Ireland and the Miami front office has put together what looks to be a winning product on paper. With expectations high, the Miami Dolphins are hoping to end a five-year postseason hiatus. And although living up to expectations have never been Miami's M.O. over the last 20 years, Philbin looks to be the guy to buck that trend and bring football success back to South Florida.